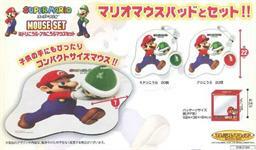 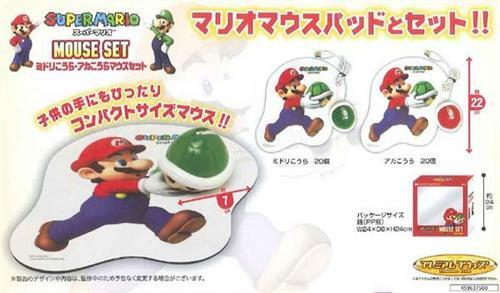 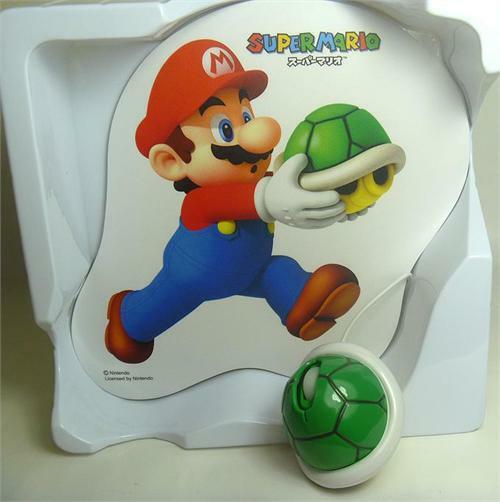 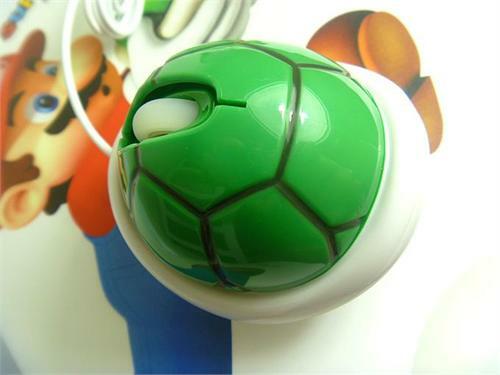 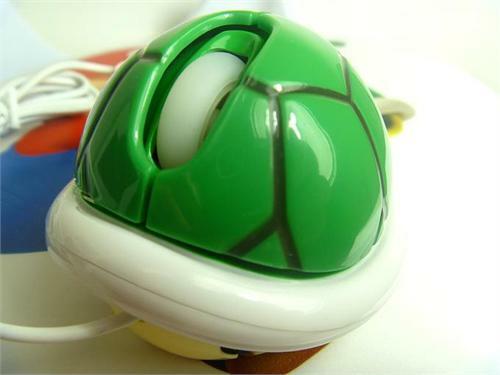 «©NCSX» Japanese manufacturer Furyu presents a Super Mario Mouse Set which includes a mouse pad depicting Mario holding a green Koopa shell and a USB Koopa optical mouse with scroll wheel which works with Windows PCs and Macs using existing mouse drivers. 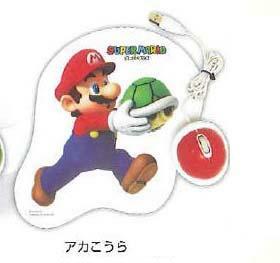 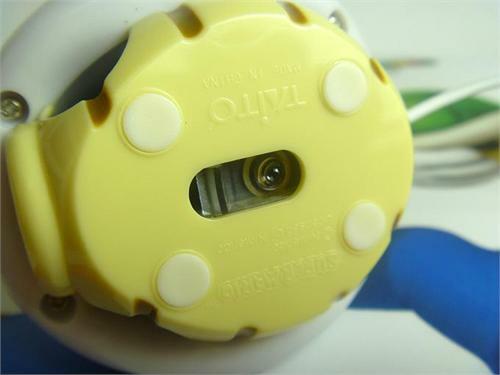 The resolution of the mouse isn't indicated on Furyu's promotional page but we're going to assume 400dpi. 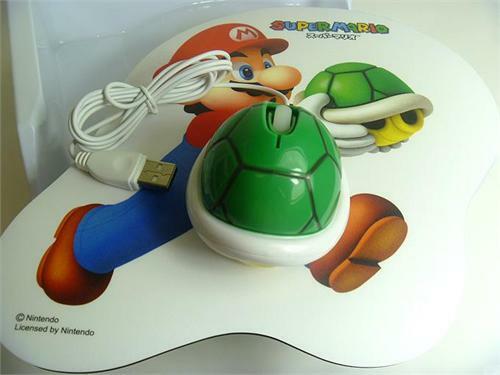 The mouse pad measures 22cm or 8.66" in length and the mouse measures 7cm or 2.75" in diameter. 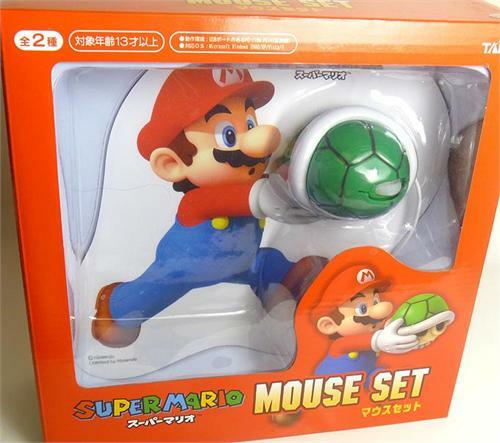 New orders are welcome to ship today at US$30.90 per mouse set - please choose from green or red mouse variants. 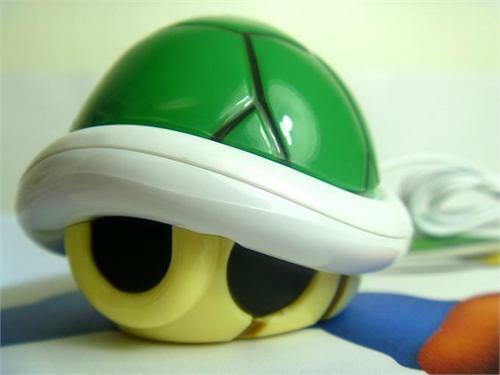 In the case of the Goomba Mouse, his forehead serves as left and right mouse triggers.